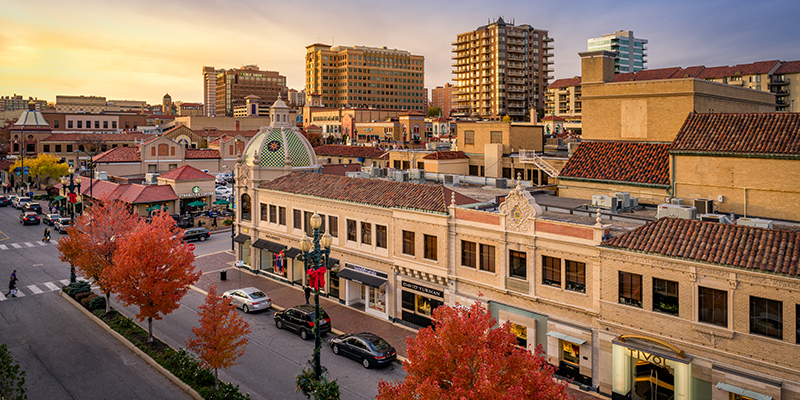 Consult the Country Club Plaza shopping guide for an insider’s look at one of Kansas City’s most-heralded shopping destinations—a beautiful district that’s home to endless options, from high-end fashion houses to local retailers that showcase the best products made in KC. 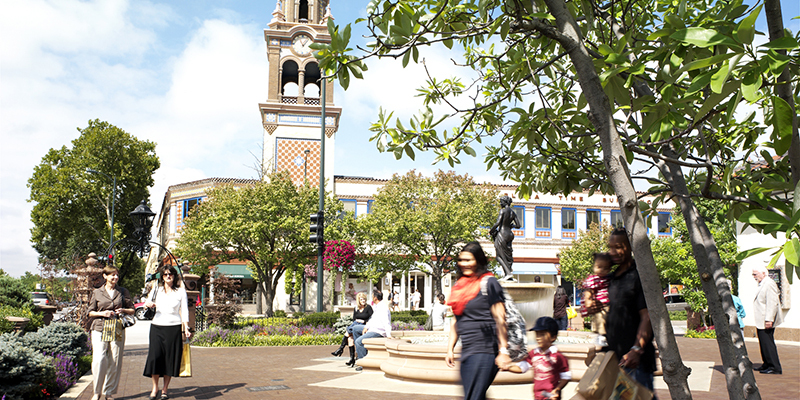 Special occasion or extravagant taste, shoppers can indulge in every corner of The Plaza. kate spade new york – Stylish sophistication meets everyday utility with handbags, jewelry, clothing and more. 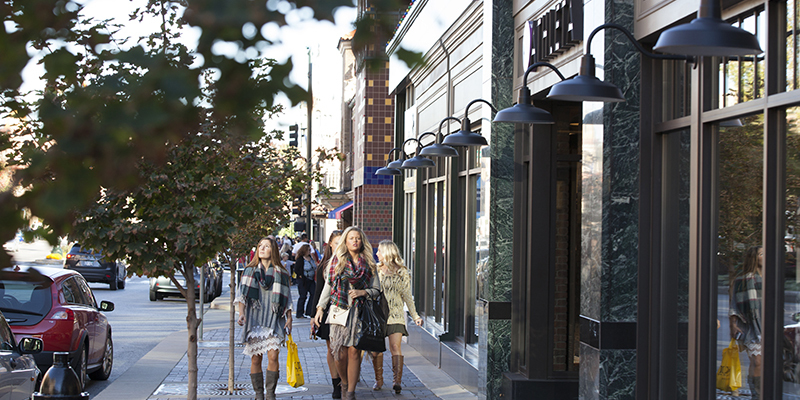 Kendra Scott – Customizable earrings, necklaces and other accessories help accent your personality. The Coach Store – Classy accessories for both women and men, including handbags, luggage, wallets and jewelry. Byron Clothing – Menswear options for the modern man, such as tailored suits and casual looks. Pandora – Artisanal, customizable jewelry and gifts for special occasions. Tiffany & Co. – Premier jewelry, from engagement rings and necklaces to high-end timepieces. Michael Kors – Decadent designs and luxury accessories define this fashion house. 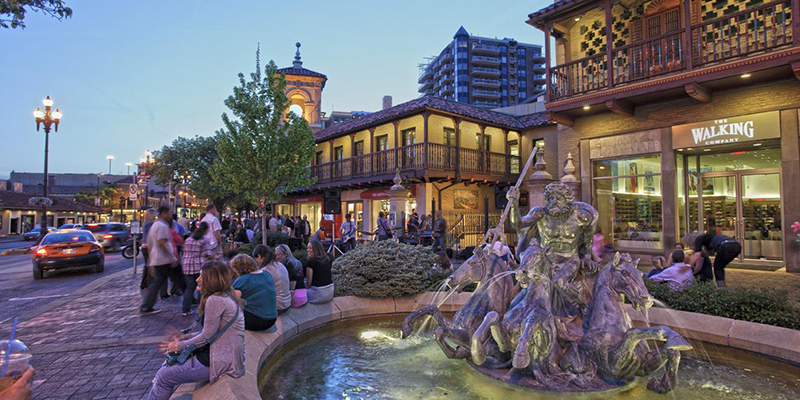 Made in KC Marketplace – Discover the hottest local brands at this one-stop shop that comes complete with an ice cream parlor, boba tea vendor and coffee café. 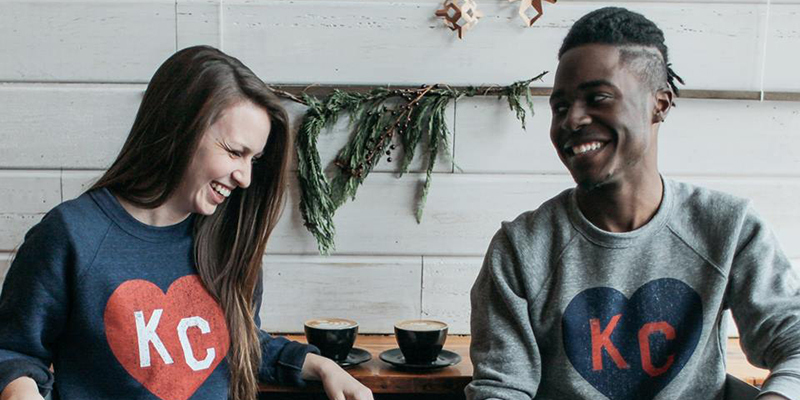 Charlie Hustle – Vintage T-shirt designs with 21st century updates, including the popular “KC Heart” logo. BALDWIN MARKET – Kansas City’s very own designer brand features home goods, grooming essentials, unparalleled denim and the ubiquitous KC wool hat. HMK – Hallmark’s local concept combines maker products with cards and other goodies—perfect for holidays and gift-getting. TIVOL – A one-of-a-kind jeweler with Kansas City roots dating back to 1910. 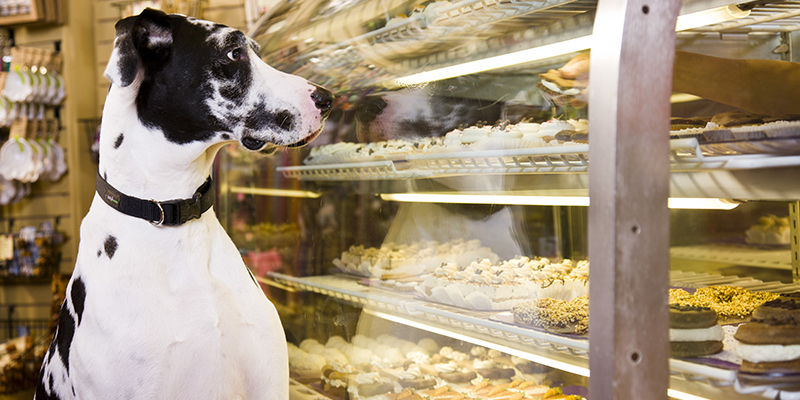 Three Dog Bakery – Home to a huge menu of treats for four-legged friends. Terrasi Living & Scandia Home – Fashionable accessories and home goods from around the world. RE: Emporium – Antique, vintage and vintage-inspired décor pieces in farmhouse and urban styles. Warby Parker – Hip eyeglasses and shades at affordable price points. west elm – Furniture, bedding, rugs and more décor in a variety of different styles. Madewell – Trendy vendor with high-quality women’s looks for year-round wear. Vera Bradley – Colorful patterns meet functional design in Vera Bradley luggage, handbags and accessories. Gap – Classic American clothing brand with styles for every occasion. Apple – Innovative and approachable tech, from smartphones and laptops to smart watches and Bluetooth speakers. Anthropologie – Curated women’s clothing and accessories as well as home furniture and beauty essentials. Nike – Training and performance clothing, accessories and sneakers for athletes of all ages. lululemon – High-quality yoga and workout apparel for women and men, including pants, tops and mats. Moosejaw – Embrace nature with well-known and -trusted outerwear and outdoor brands available this retailer. The North Face – Authentic and pioneering outdoor clothing and accessories brand. Rally House – Everything the modern sports fan needs, including jerseys, hats and other necessities that showcase your team spirit. Athleta – Women’s fitness apparel with a special emphasis on performance gear. 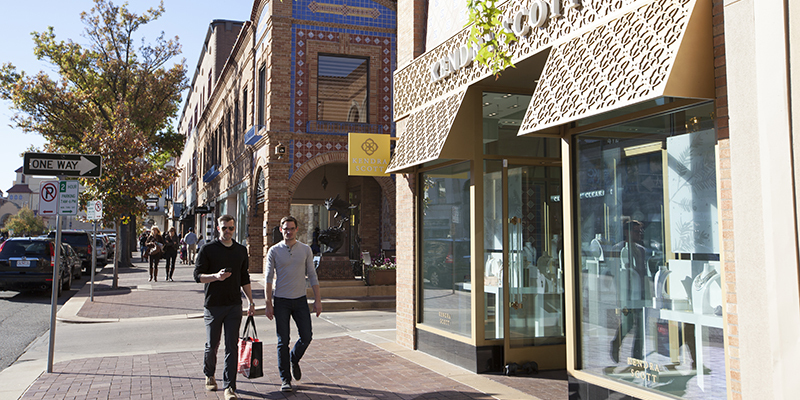 For a full list of shops and boutiques at the Country Club Plaza (as well as restaurants and other possibilities), visit the district’s website.